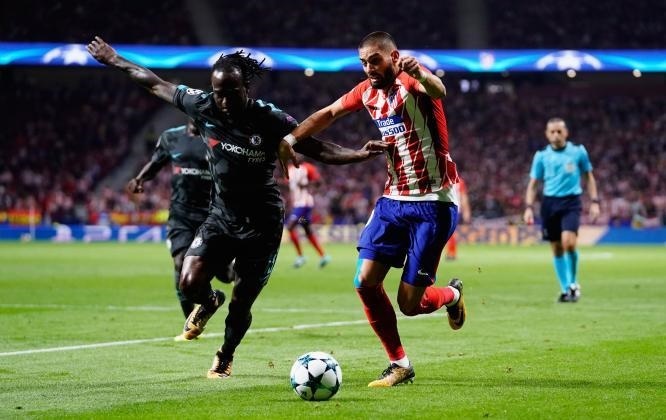 Victor Moses was back in action in the Champions League on Tuesday but he could not help Chelsea to their desired result; hence they settled for a 1-1 draw with Atletico Madrid. The solitary point secured against the Spanish team meant that Chelsea will be finishing behind Roma in Group C and risks getting a tough draw in the knockout phase. The Blues needed to win to be sure of the number one position in their group but instead, they found themselves behind in the 56th minute when Saul Niguez shot Atletico in front. Antonio Conte's men could not find the back of the net themselves and needed and own goal from Stefan Savic in the 75th to be saved the agony of a home defeat on Tuesday. However, in Rome, Roma got the job done as they recorded a lone win over Qarabag. The only goal in that game was scored by Diego Perotti in the 53rd minute. With the three points from their final game, Roma overtook Chelsea at the top of the standings as they increased their points tally to 11 same as the Blues but they have a better head-to-head record.